This eBook captures the complex life of this great Apostle, from his first call to leave his nets to fish for men through his denial of the Lord to the Day of Pentecost and ending with Peter's death in Rome. F.B. Meyer's powerful prose illustrates Peter's life with grace and power without straying from a Biblical understanding of Peter. 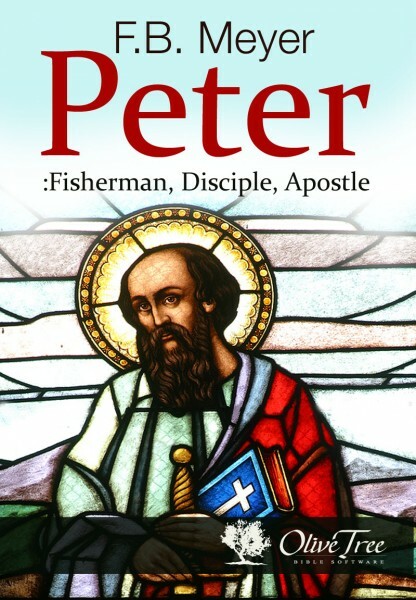 Thoughout Peter: Fisherman, Disciple, Apostle, Meyer gives us glimpses of Jesus in his narrative of Peter, and we see the love of Christ toward His sometimes wayward and sometimes faithful disciple. The life of Peter is ultimately a grand story of the power of redemption and the continuous transforming power of Jesus in our daily lives, and Meyer brings that story and its applications to life.